A light and creamy dessert that goes well with a Mexican dinner. 1Preheat the oven to 350 degrees. Place a pan filled with about 1" of water in the oven to begin heating the water for the hot water bath. 2In a small frying pan, over moderately high heat, melt the 1/3 c. sugar and caramelize it. It will happen quickly once the sugar melts. Pour the caramelized sugar quickly into a 9" pie pan. Tilt the pan to spread it over the bottom of the pie dish. 3Beat together the eggs, sugar, milk and vanilla. 4Set the caramelized sugar lined pan into the water bath in the oven and then pour the egg mixture over the top of the caramel. Carefully push the rack into the oven. Bake for about 30-40 min. There will be just a slight jiggle when it is done. 5Remove from the hot water and allow to cool to room temperature. Loosen with a knife around the edge of the custard, then invert onto a serving plate. 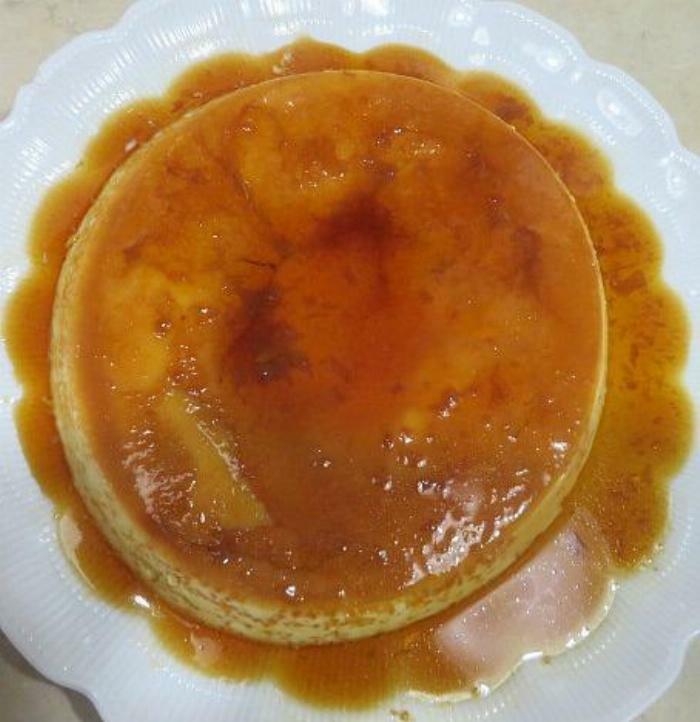 The Flan will slip out and the caramel sauce will flow over the top of it. 6To serve, cut into wedges and spoon the extra sauce over the top of each piece. adapted from Sunset Mexican Cook Book, published in 1971.